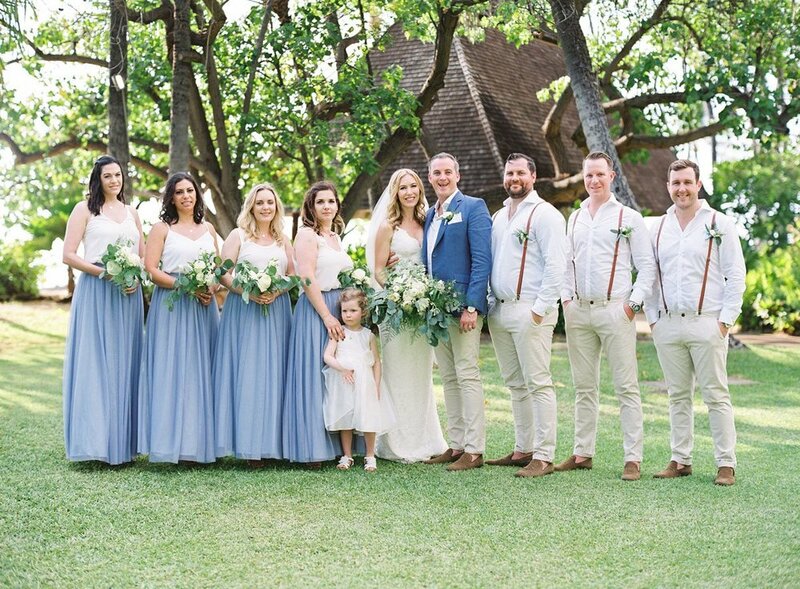 Jon and Sara exchanged vows in September at the majestic Lanikuhonua Cultural Art Institute in Oahu. 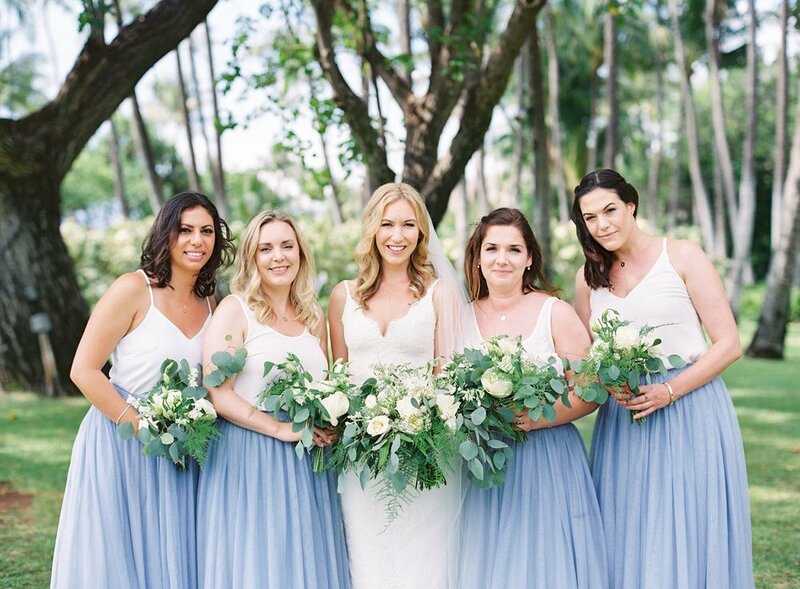 This Hawaii Wedding location was the perfect middle ground for Jon’s family traveling from Australia, and Sara’s family traveling from San Francisco, which is a common scenario for many couples with family’s arriving from both continents. 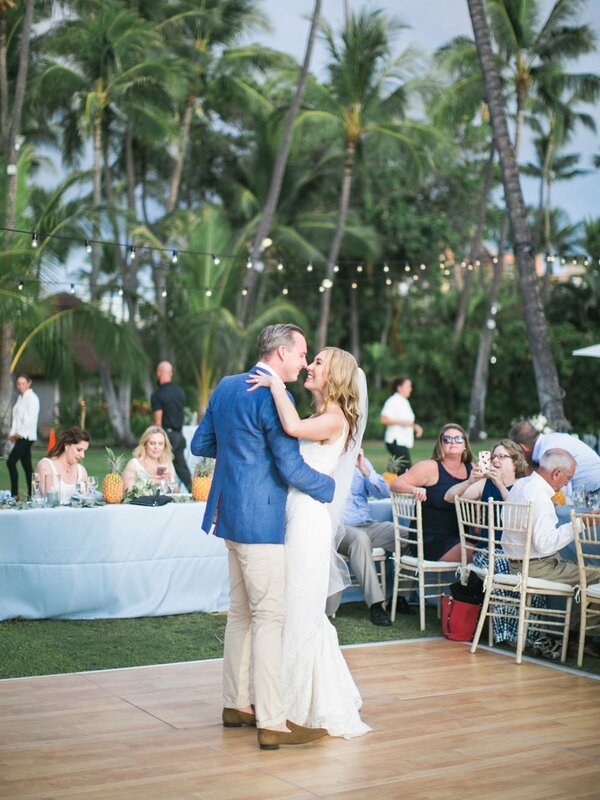 To bring everything together, the couple enlisted Hawaii Destination Wedding Planner Lorrie Betsill Nielson, who three years earlier planned the grooms sister’s wedding on the neighbor island of Maui, putting the pressure on to make this special day uniquely their own! 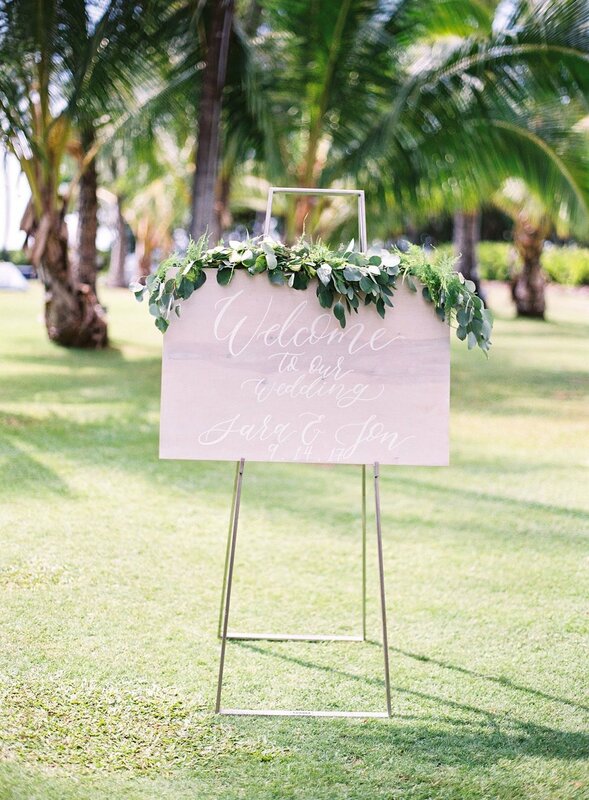 For Jon and Sara, an intimate ceremony and reception with simplistic and Hawaiiana touches were perfectly detailed by ‘Okika Floralwith flourishing greens paired with ivory flowers and gold accents. 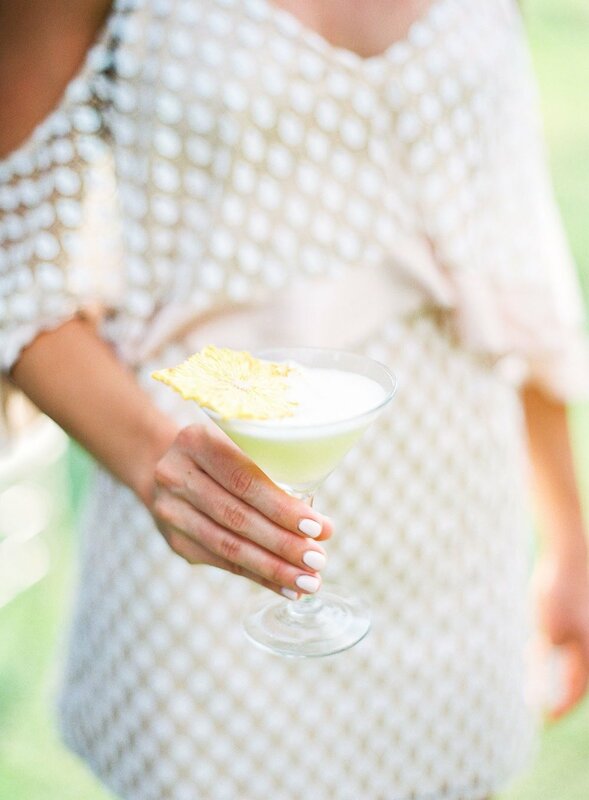 At the top of Sara’s wish list were pineapples, pineapples, pineapples which Lorrie was able to tastefully incorporate into the reception table design and surprise signature drink crafted by Stir Beverage. 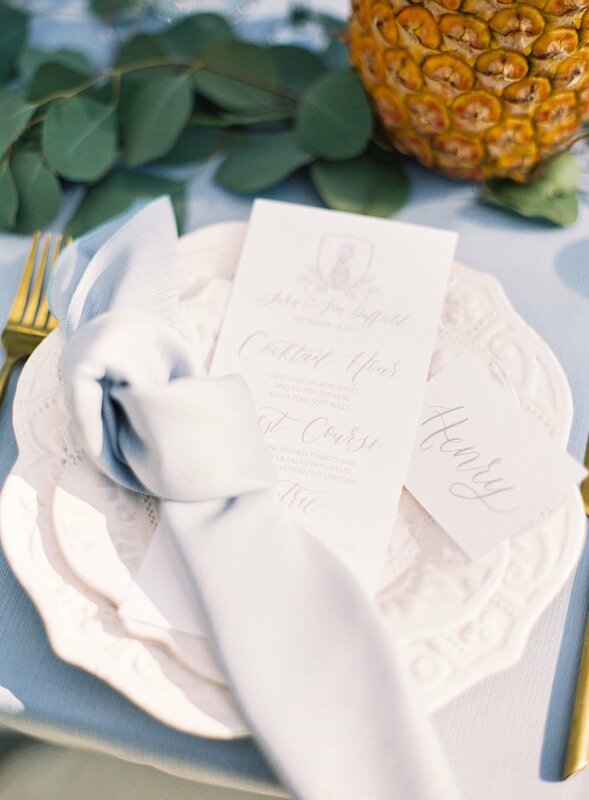 Custom flatware by Pacific Party Rentals and beautiful BBJ linens brought in the soft blue and grey hues, with paper goods and signage provided by Anna Claire Calligraphy, all perfectly adorning the guest dining tables creating a cozy and romantic oceanfront feel just as they had dreamed. Congratulations to Mr. and Mrs. Duffield! 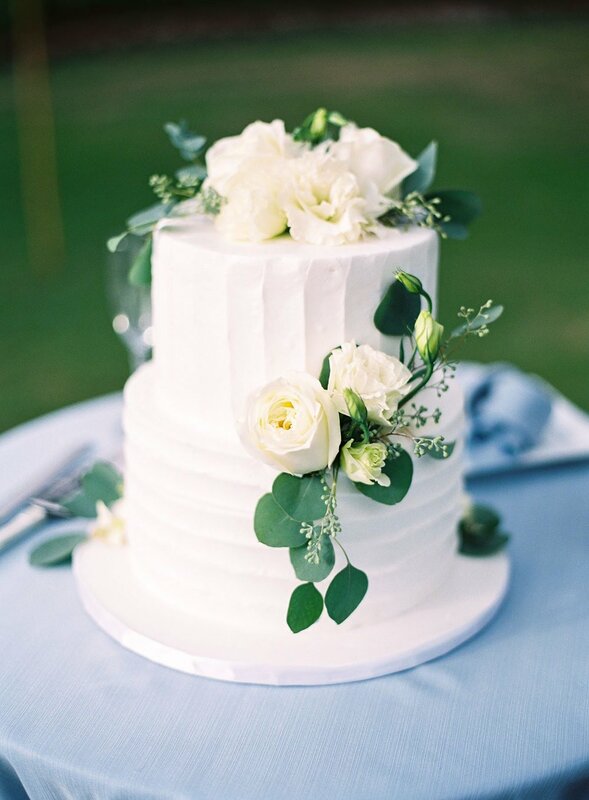 We wish you every bit of happiness in the world on the new and exciting journey ahead! 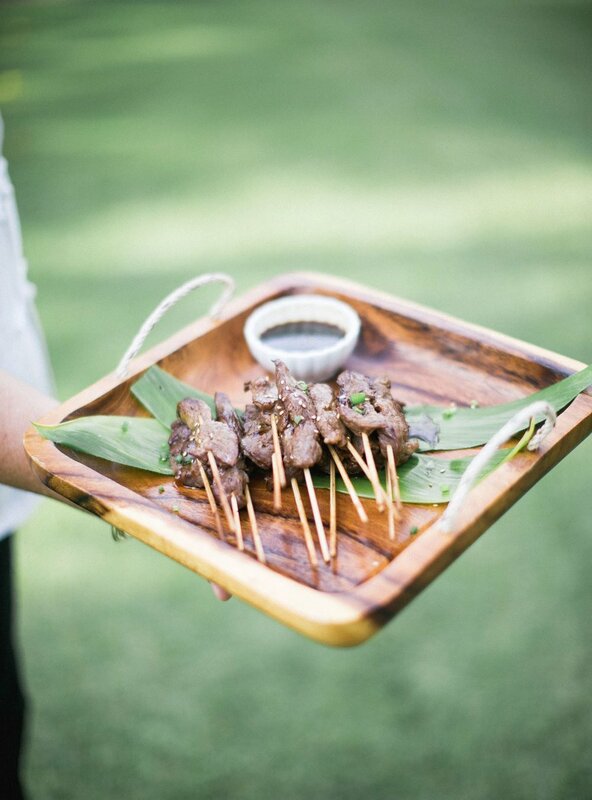 Tips On Choosing Your Hawaii Wedding Venue!